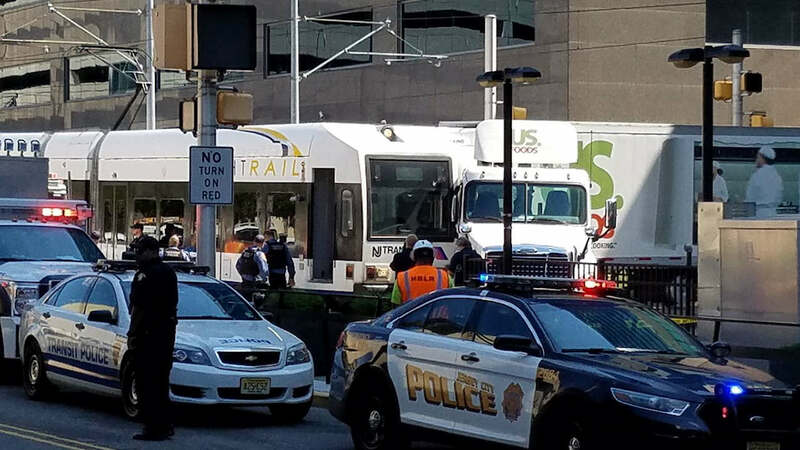 JERSEY CITY, New Jersey (WABC) -- A tractor-trailer struck a light rail train in Jersey City, causing a suspension for a short period of time on the Hudson Bergen Light Rail. The train operator sustained a minor back injury. 23 people were aboard the train at the time of the crash. It happened at Mall Drive East in Jersey City just before 11 a.m. Monday. Service was restored around 11:15 a.m.